The creative process is a mess of unrealized ideas, false starts, and revisions. It offers more blood, sweat, and tears than your parents' record collection. Once you experience it, however, it's tough to live without it. And this is exactly howw it is..the creative process. This isn't less than a master piece. Ah, yeah... This reminds me of art school. 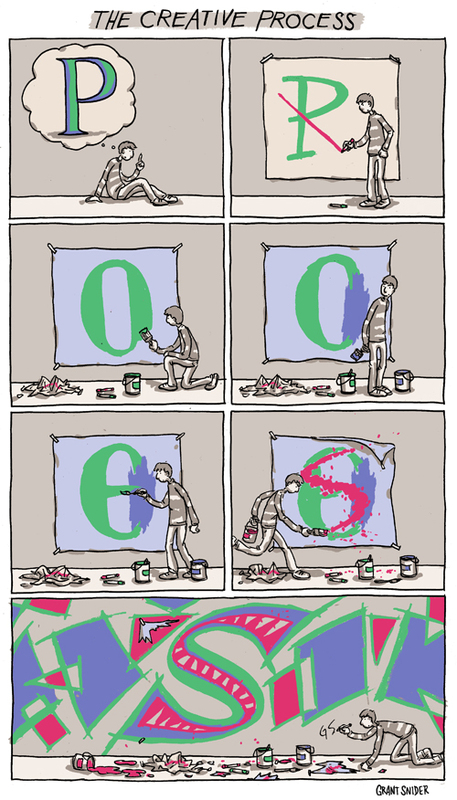 You get better at getting to the P over time, and lose creativity somewhat. Don't. Ha - yes! Every one of my paintings has half a dozen layers of crappy false starts underneath.